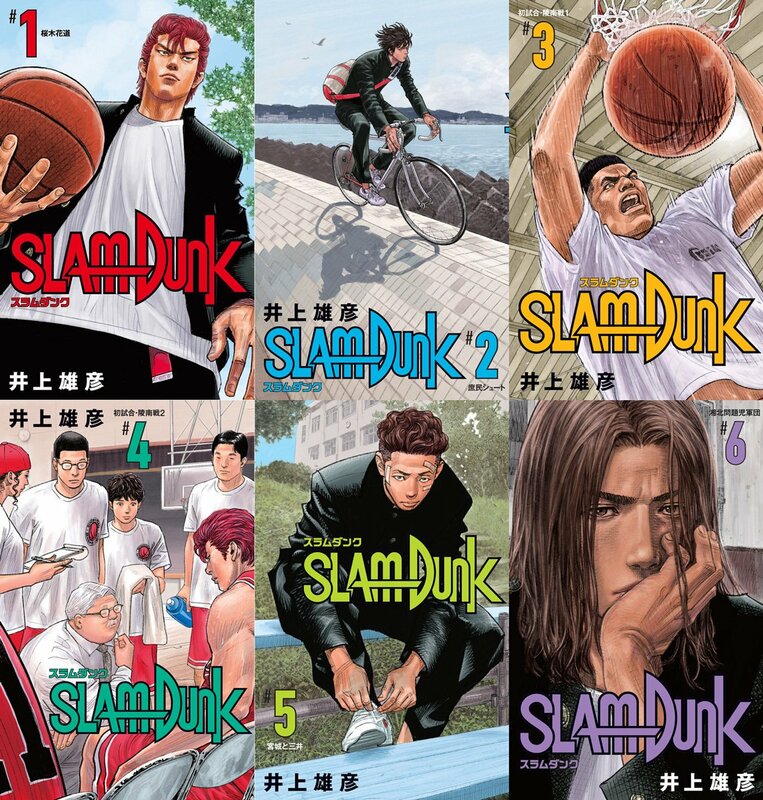 is there any slam dunk manga about the inter-high tournament? @ayanami000 You mean the national tournament ? or the regional tournament (when they challenge Kainan and Ryonan in the final four) ? im looking for the national tournament. the one with sanno, toyotama, etc. It starts from volume 23. I love Slam Dunk so much that I F it. This manga is so damn good. The choreography of the action, the simplicity and efficiency of its art, the pacing, the cast, the screen time being divided fairly, the main character's progression is incredibly well told and fun to read. The last game is the epitome of how you write a finale. Naruto and even One Piece don't even come close to it. The greatest manga I have ever read and I take pleasure to reread every year. Edited by trafalgarlawisop, 03 December 2015 - 11:45 AM. 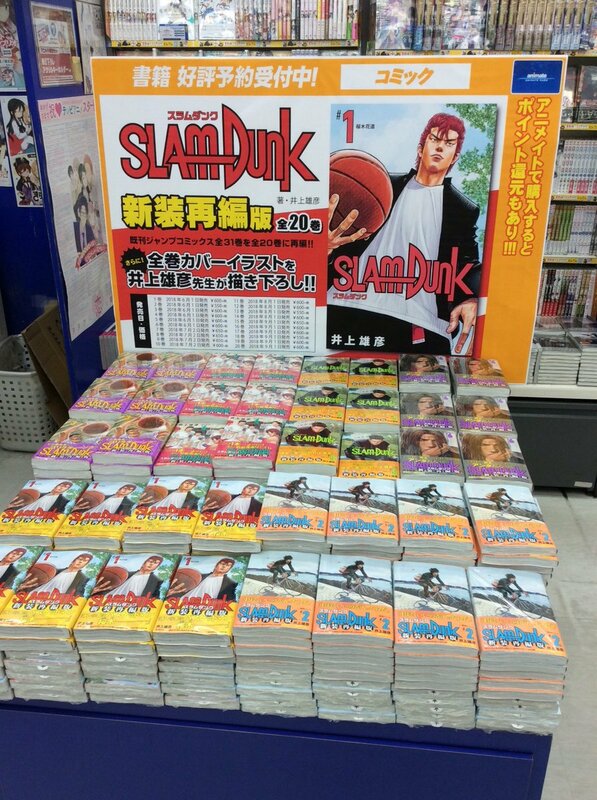 I love how Sakuragi progressed as a basketball player. It made me play more basketball back in high school. And then came Kuroko and I was like --- this generation is f**ked up if you have those characters as their role models when playing. I have started basketball thanks to Slam Dunk. Its satisfying to see Sakuragi struggle and progress non stop. The fact that he is always learning is a perfect set up for comedic scenes but its satisfying to see him struggle and then succeed. He learned from something from almost everyone and he burns with excitement when he faces a worthy adversary. He becomes literally in love with Basketball when he reattached at night his jump shot progression. His competitiveness and will to win even if he is totally outclassed makes him an inspiring figure. Even with an injury he still plays well and that guy just doesn't quit. Rukawa is the perfect rival and is funny as hell in his own way. He is a version of Sasuke that is actually likable. I love Fujima he is like the equivalent of Jason Kidd. He is a coach and a player... that's badass and shows a great maturity. Definitely a better love story than Naruto. I love how Haruko defends from the Rukawa fangirls and supports Sakuragi through his success and struggle. There is too much to love about it. Edited by trafalgarlawisop, 03 December 2015 - 02:14 PM. I wanna read about the backstory of that Colonel Sanders Coach more, tbh, they say he was a tyrant before coaching Shohoku and turning Buddha, maybe like a reverse Kuma or something. Why not ? They are possibly rereleasing the manga with new covers to test the waters to see if they could actually make a sequel to one of their most beloved series in Japan (people still talk about it decades after its end). Inoue has put Vagabond on an indefinite hold and he has been tweeting and drawing a lot of Japanese basketball players. I am still in awe that the Japanese still remember this manga after all these years. Its just that this series ended over twenty years ago before the boom of Dragon Ball in the the late 90's in Europe and the US or the Naruto explosion in the mid 2000's and the rise of One Piece at the end of the last decade. If the series was released in any of these periods its success would have been far greater. Inoue has been tweeting a lot about Japanese basketball recently and Yuta Watanabe might actually get a legit chance to play in the NBA for the upcoming season making him possibly the second japanese player in the history to play in this league which hopefully gives a motivation for Inoue to give us a sequel plus the great sales of the rerelease . I'm not that surprised tbh. 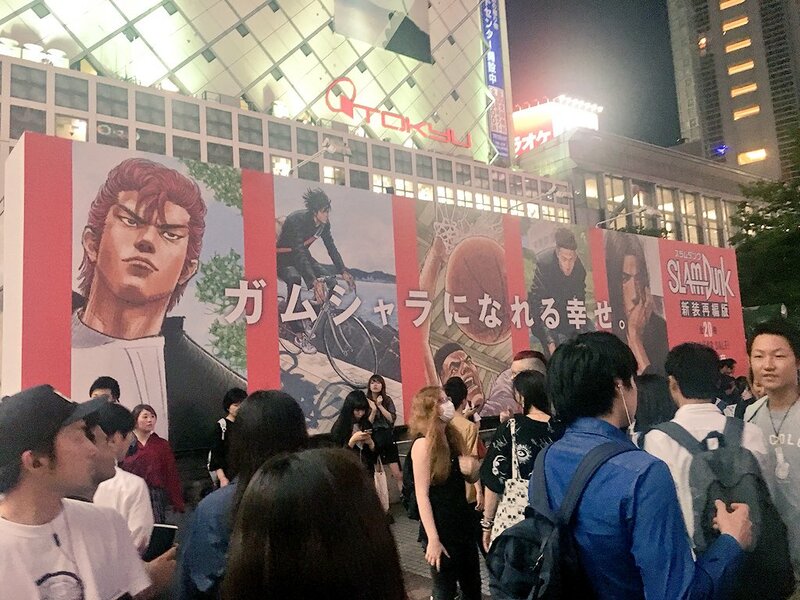 I just went on a trip to Japan in May and they were having a celebration of Shounen Jump. Mori Tower in Roppongi had an exhibit for 90s Jump series and Uniqlo was running a promo for limited edition t-shirts to name a couple things. The 90s were like the heyday of manga for that genre in Japan even if we didn't get a lot of westward expansion til the 00s. I'd love for a sequel or any other work from Inoue. He's definitely one of my favorite artists and even beyond the visuals he is a good storyteller. I do wish he'd finish Vagabond before starting another series, but hey sometimes you just lose inspiration.